"WHO KNOW'S WHAT YOU'LL FIND HERE"
Selling as a collection with the case. Includes 59 cars. These are mostly well played with cars some with missing parts, but most still useable a lot are even in great shape. There are 13 Lesney 's from England, 24 from China, 15 from Macau and 7 from Thailand. The Lesney models are as follows: #44 Boss Mustang 1972, #42 Studebaker Lark Wagonaire, #18 Field Car 1969, #61 Alvis Stalwart, #24 SuperFast Team Matchbox 1973, #55 Ford Cortina 1979, #57 Land Rover Fire Truck, #67 Datsun 280Z 2+2 1978, #33 Lamborghini Miura, SuperFast Dodge Challenger 1975, #4 Gruesome Twosome 1971, #1 Mod Rod 1971, #25 Ford Cortina. The others are the cars from China, Thailand and Macau. The case is an original in fair shape. It is designed to hold 72 cars in the trays. It comes with all 6 trays (only 5 shown in photo as the 6th is empty of cars). The handle is missing also. The case still holds together and snaps shut. The graphics with the FERRARI BERLINETTA NO.75 on each side are if good shape. Again selling as a collection and most of these are well played with. If you are looking for only mint examples then keep looking, but if you're starting a collection or filling one out then here you go. Keep what you need and sell off the excess. 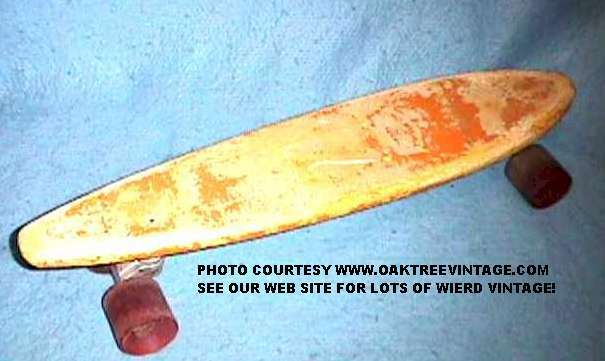 "Old-School" vintage Hobie "Super-Surfer" skateboard. This board has logged some miles. Lots of character as not much of the original finish is left. Rear trucks are not original, but the fronts appear to be. Deck is plastic and has lots of wear. Measures 23.5" in length and 5.5" at it's widest. Not offered for use, but only as a collectible. All items shown in photos above. 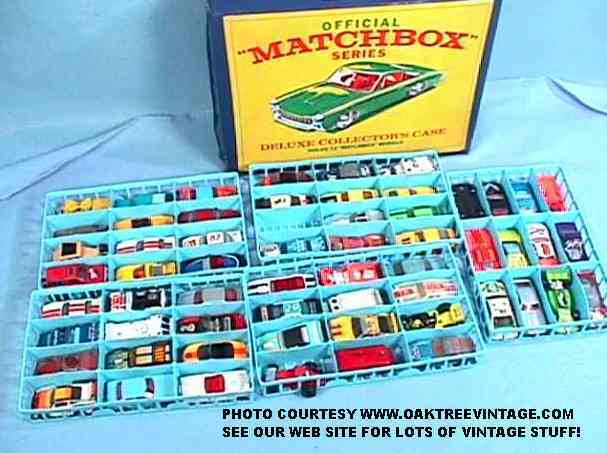 This is an original late 60's Eldon Slot car set in "as-found" condition. It appears to be at least 95% complete. 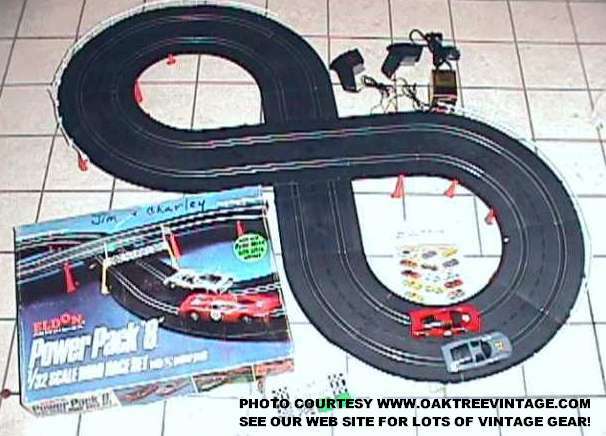 Maybe a guard rail missing, the starting / finish flags and holder, and no instructions, but the rest is "as pictured". The Ferrari P-3 (#1351-12) and Porsche Carrera (#1351-11) racer bodies have the mounting flanges damaged and these need to be repaired and like most vintage slot cars the rubber tires need to be re-conditioned or replaced for better traction. Both car motors run great and the pick-up shoe / contacts are both there and also function fine. The original 6-V DC transformer, track connector and controllers also in working order. All track connectors link up. 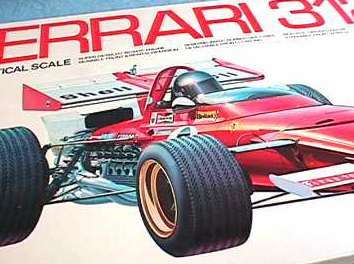 Set also includes Collector Cars catalog, Sticker sheet and original car Decal sheet. Original box has the names Jim and Charley written on it (see photos), but in other wise great condition. This would make a great candidate to restore with only a slight amount of effort (again body mounting flanges and new rear tires), to marry to another set or just to put on a shelf. Everything included in photos. 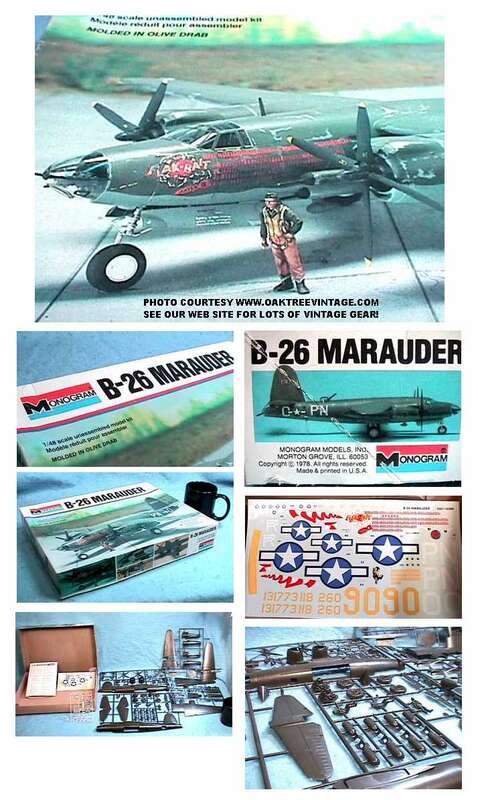 "THUMPER", " BOCKSCAR" OR "ENOLA GAY"
"THE LARGEST PLASTIC SCALE MODEL AIRPLANE KIT EVER PRODUCED"
Again this is an original, not a re-issue!!! This is a 1977, Made In USA Model. Assembled would measure over 24" in length and have a wingspan of over 35 INCHES! 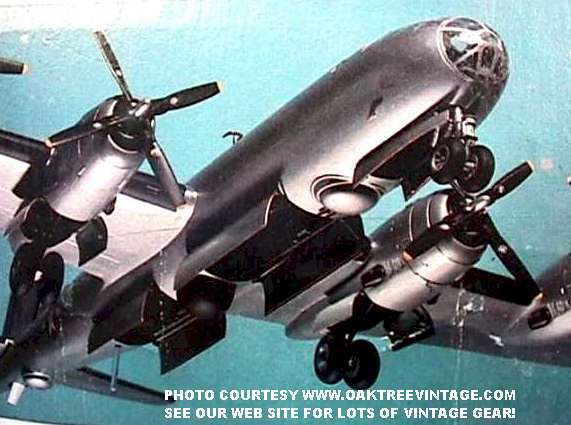 Can be assembled to represent one of three planes: Thumper, Enola Gay or Bockscar! Complete with bombs "Little Boy" and "Fat Man". New, appears complete and with the exception of the cockpit, and the painting of a few parts is un-assembled (see photo) in original pre-bar code box. 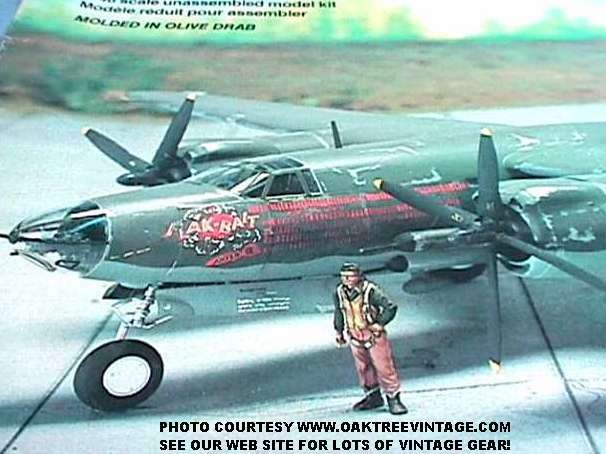 Includes all parts trees with majority of parts still attached, assembly manual, color / diorama guide and original decal sheet. Box still in good shape as shown in photos with minor wear. Again this is an original, not a re-issue!!! New, appears complete and unassembled in original pre-bar code box. 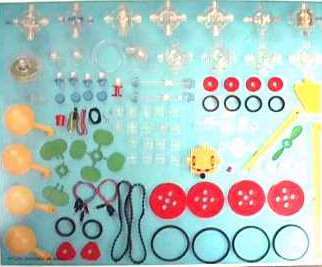 Includes all parts trees (unopened), assembly manual, period catalog with Honda Trail 70 and others featured and original unopened decal sheet. Box still in fine shape as shown in photos. Again this is an original, not a re-issue!!! 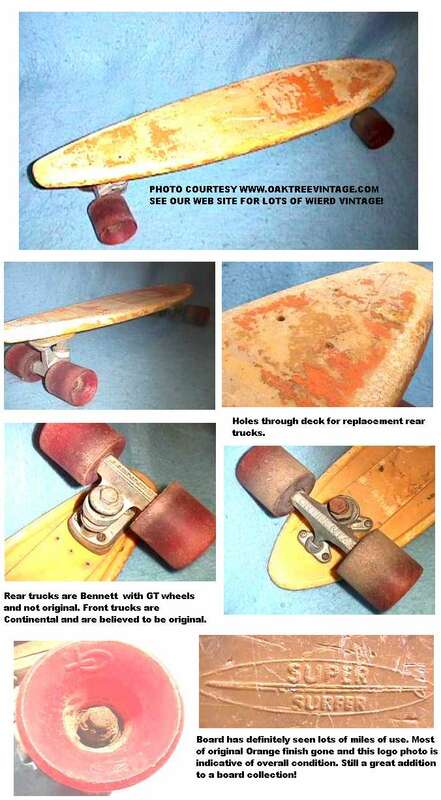 This is a LATE 1970's, Made In The USA model. Assembled would measure 17.75" wingspan and 14 1/8" length. New, appears complete and unassembled in original pre-bar code box. 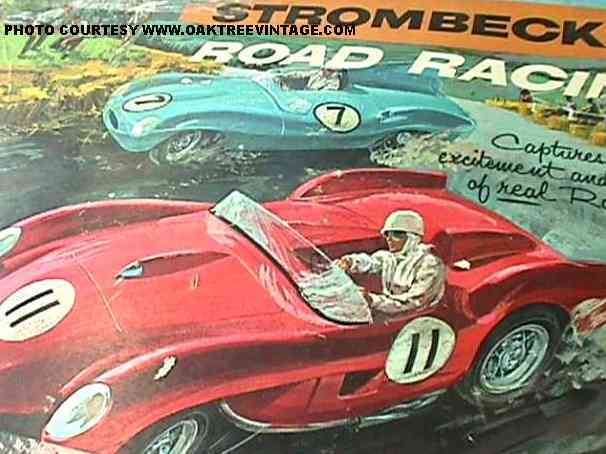 Includes all parts trees, assembly manual and original decal sheet. Box still in good shape as shown in photos. Graphite shaft. All in great shape. Shaft length from top of hozzel to end of grip is 38" and overall height is 41.75". Great club for Junior / intermediate golfers. 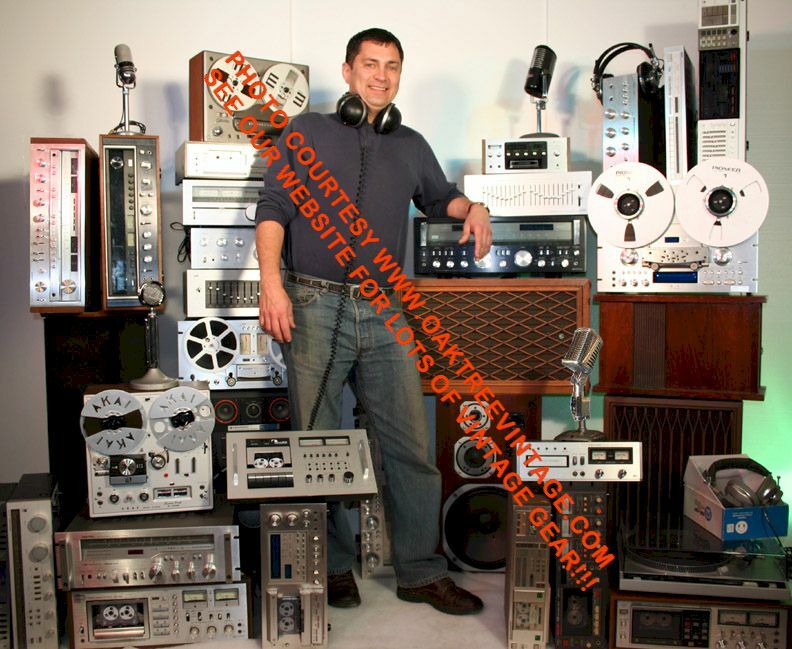 Everything in great shape and ready to use! Med-Large with 3/4 collar. Sides can be adjusted in or out. Currently fits me and I'm 6' / 185 lbs. Two front mounted expanding pockets with dual position military grade snaps. 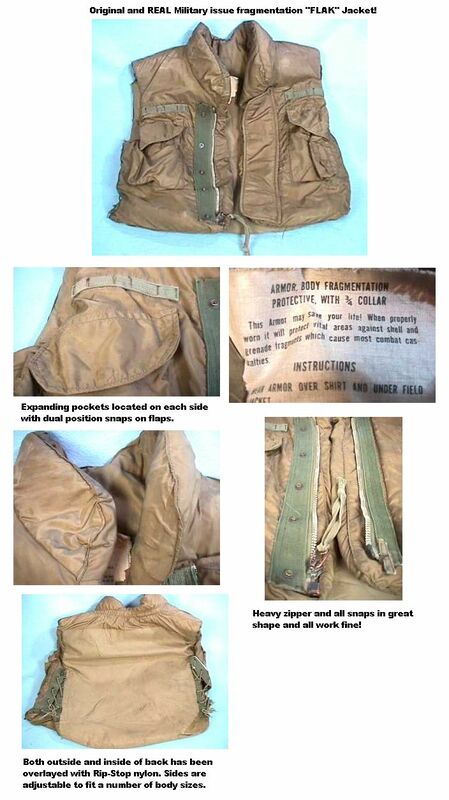 All zippers and snaps are military grade and are in perfect working order. Inside and outside of back has been overlaid with Rip-Stop nylon. No major tears and only a few light stains. If you've been looking for a "REAL" Flak jacket, not some whimpy paint-ball version then here you go. Measures 23" x 20" and weighs in at 8 lbs unpacked. Here's a hard to come by "Snow Toy". 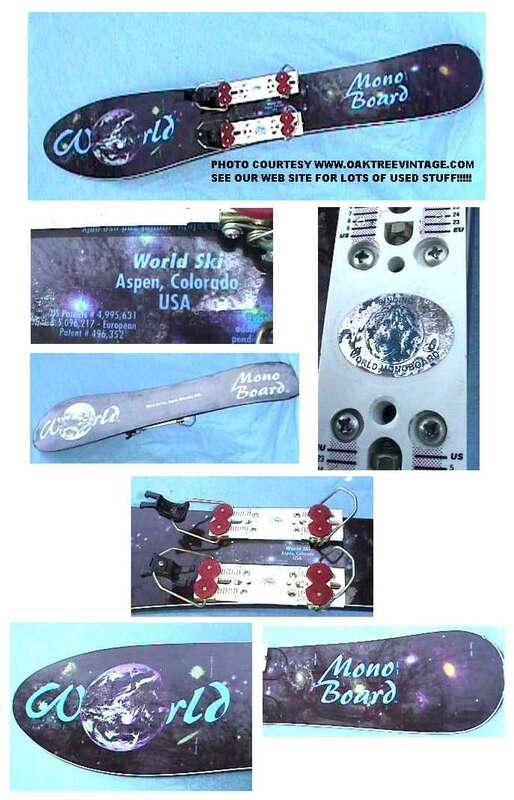 A World Ski Mono Board. Has it's World Ski bindings still intact. Great "Galaxy" graphics. Metal edges in great shape. Measures 137 cm / 53 3/4" long / , 11" wide at the nose and 8" wide at the tail. The bottom p-tex is in great shape as are the metal edges. Should be tuned by your local snow board / ski shop. I know a little about a lot of different stuff and a lot about a few things, but virtually nothing about scuba gear. This is a Dacor 900 series Regulator set-up. Here's about all I can tell you. The pressure gauge lens is pretty scuffed up. You can still see through it, but you may want to buff it out a bit. There is only light corrosion on the regulator (see photos), and the rubber parts look good, but what do I know. Warning: Do not use this or any used scuba gear with out having it first checked by a qualified technician for proper working condition / Safety! I have read that this system is a very durable model and with proper maintenance can work virtually forever. Again selling as-is. I know a little about a lot of different stuff and a lot about a few things, but virtually nothing about scuba gear. This is a Dacor 900 series Regulator set-up. Here's about all I can tell you. The pressure gauge lens is pretty scuffed up. You can still see through it, but you may want to buff it out a bit. There is only light corrosion on the regulator (see photos), and the rubber parts look good, but what do I know. Also included are the accessories shown in the above photo including a Dacor model DCP Compass, a Stainless dive knife, a couple of mesh dive bags and some other stuff that I also know nothing about. These brackets were for some single tank vests by ScubaPro. 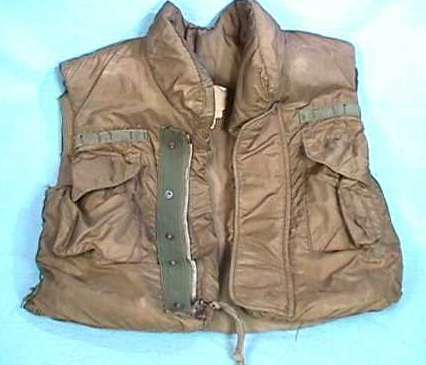 The vests shown in photo not included and not available. Shown only for referance. The highly sought after Singer Feather Weight Portable sewing machine. If you own one you prize it. This one is spectacularly clean as is the original issue case! Just back (10/15/02) from the tune-up shop and includes receipt for work done. READY TO USE! - And of course the normal straight stitch foot plus a couple of extra's. Also includes extra bobbins, a copy of the owners manual and many other extras! This machine is in beautiful shape and the finish is near perfect. Hard to find any flaws with it. It looks and runs, well as they say, "like a sewing machine". We just picked it up from a full tune-up by a shop and are including the receipt dated 10/15/02 with it. They fully cleaned and lubed the machine, adjusted the timing, installed new felts, new light bulb and a new belt. They then test sewed with it as they do with all their machines. We also installed a new AC supply side cord to the remote foot speed controller for years of trouble free service. The case is also in very fine shape with all the original latches, hinges and the handle. Also includes the "elusive" Case Lock Key that is typically missing and a Brand New pack of correct needles. Works perfectly. If you have been looking for a "Real" Singer FeatherWeight then here you go. You won't be disappointed. Another of the highly sought after Singer Feather Weight Portable sewing machines. If you own one you prize it. This one is spectacularly clean! Just back (10/22/02) from the tune-up shop and includes receipt for work done. READY TO USE! - And of course the normal straight stitch foot plus a couple of extra's. 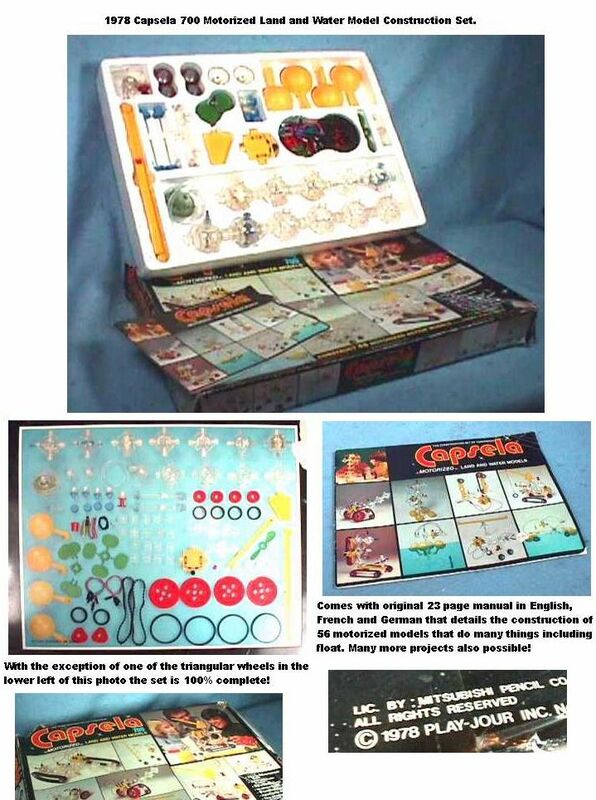 Also includes extra bobbins, a copy of the owners manual and many other extras! This machine is in beautiful shape and the finish is near perfect with only the most minor wear to gold decaling (see photos). Hard to find any flaws with it. It looks and runs, well as they say, "like a sewing machine". We just picked it up from a full tune-up by a shop and are including the receipt dated 10/22/02 with it. They fully cleaned and lubed the machine, adjusted the timing, installed new felts, new light bulb and a new belt. They then test sewed with it as they do with all their machines. We also installed a new AC supply side cord to the remote foot speed controller for years of trouble free service. The case is also in good shape with normal wear, mostly to leather on handle with all the original latches, hinges and the handle. Also includes the "elusive" Case Lock Key that is typically missing and a Brand New pack of correct needles. Works perfectly. If you have been looking for an early & "Real" Singer FeatherWeight then here you go. You won't be disappointed. Nice vintage sewing machine by Singer. Very solidly built! Just a little bigger than a Feather Weight and slightly more weight and is improved in a few areas. Features drop feed control, more desk area than a featherweight and the mechanism is completely gear driven so it runs very smooth and there are no belts to glaze, break, stretch or wear out. The motor is stronger making it faster at the higher speeds and capable of heavier work. We have gone through it, cleaning inside and out, lubricating internal mechanism and replacing AC cords from plug to footswitch and to machine. The Slant Needle design allows a better view of your work and won't pop any cross-threads (We read that the "Slant" needle was designed during WWII to sew nylon parachutes). Original gloss black finish with beautiful and delicate gold detailing in excellent shape. Runs and looks great. Seems to be complete. Also features recessed and bright work light built-in! 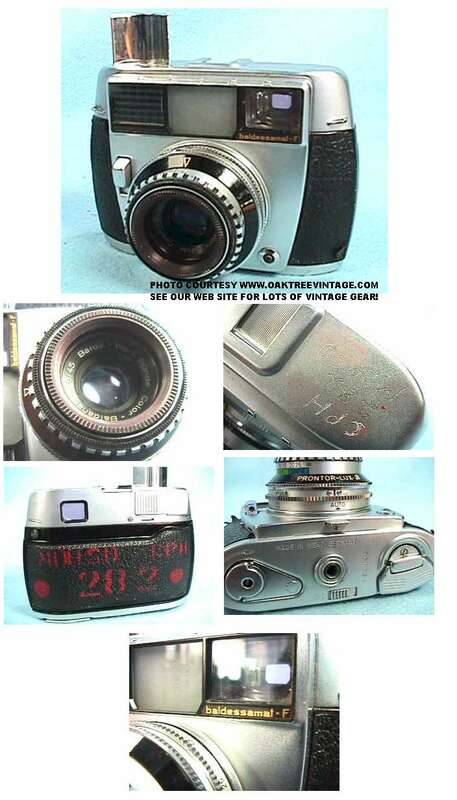 Comes with original tweed case in fair condition and variable speed remote control footswitch that has new wire throughout. Pre-owned, but does not appear to have ever been turned on for use. Filters appear new. Runs very well. These retail new for around $200, but this one is available for less than the price of one replacement filter. Lightweight and portable with three air cleaning power levels to choose from - the Enviracaire is perfect for your bedroom or office. 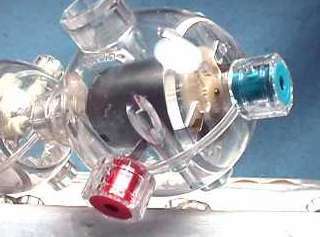 See some info on the main filter below (utilizes 2 - main Large HEPA and thin carbon Pre-filter). Genuine Honeywell True HEPA filter. 99.97% effective at removing particles as small as 0.3 microns from the air that passes through the filter." It is generally held that filters last 4-5 years so these are serious air cleaners. 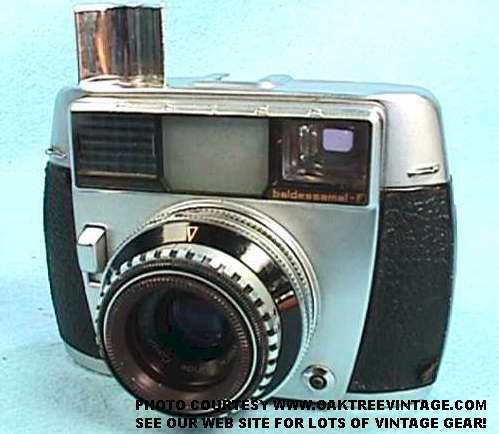 Again this one is in essentially new condition with no evidence of ever being used. No dust or odors in filters at all. Measures 14.25" tall x 16" in diameter and weighs 15 lbs unpacked. The manual may be obtained from many sources on the web! 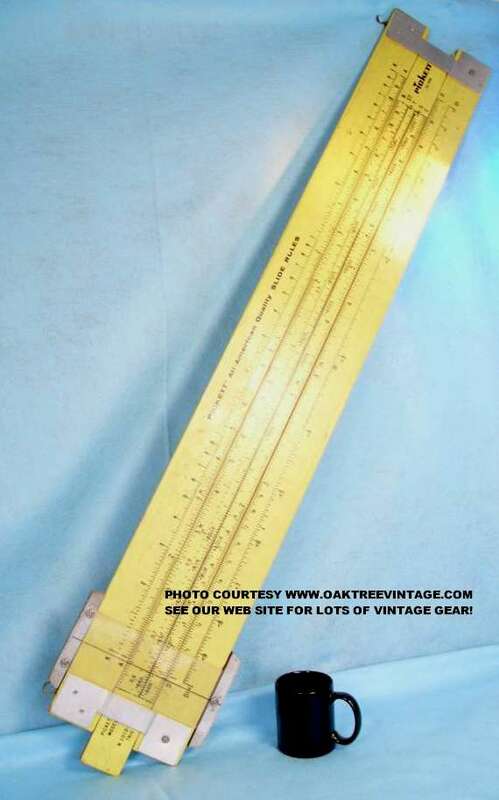 Huge Pickett Demonstration Slide Rule. Made of wood and in great condition. Rule has only minor finish checking. Mostly just normal light wear. No warping. Measures 48" (4') to over 7 feet when extended in length! 8" wide. Works!